Tony Fullman is one of the only people that we know to have been targeted by Prism, the NSA's signature mass-surveillance tool: he's a Fijian-born expatriate with New Zealand citizenship, and had his passport seized and his name added to terrorism watchlists after the NSA helped their New Zealand counterparts spy on him, intercepting his bank statements, Facebook posts, Gmail messages, recorded phone conversations, and more. Fullman is one of the organisers of "thumbs up for democracy," a peaceful online campaign that questions the legitimacy of Frank Bainimarama, an authoritarian military dictator who seized control of Fiji in a coup. An internal NZ investigation revealed that the New Zealand government mistook a group of NZ-based Fijian pro-democracy activists for terrorists and illegally spied on 88 of them between 2003 and 2012, including Fullman. Fullman was naturalised into NZ citizenship after moving there when he was 21, and worked for 20 years as a civil servant in the tax department, while volunteering at a soup-kitchen and completing two Master's degrees (one in public management, the other in IT). He moved back to Fiji in 2009 to run the country's water authority. But Fullman left the country in 2011, when the leaders of the military government targeted a childhood friend of him, and then, when the friend went into exile, fell under suspicion for helping him escape. Fullman moved to Australia in 2012, just as the NZ security services were formulating their mistaken belief that Fijian expats in NZ were plotting the violent overthrow of the Bainimarama regime. 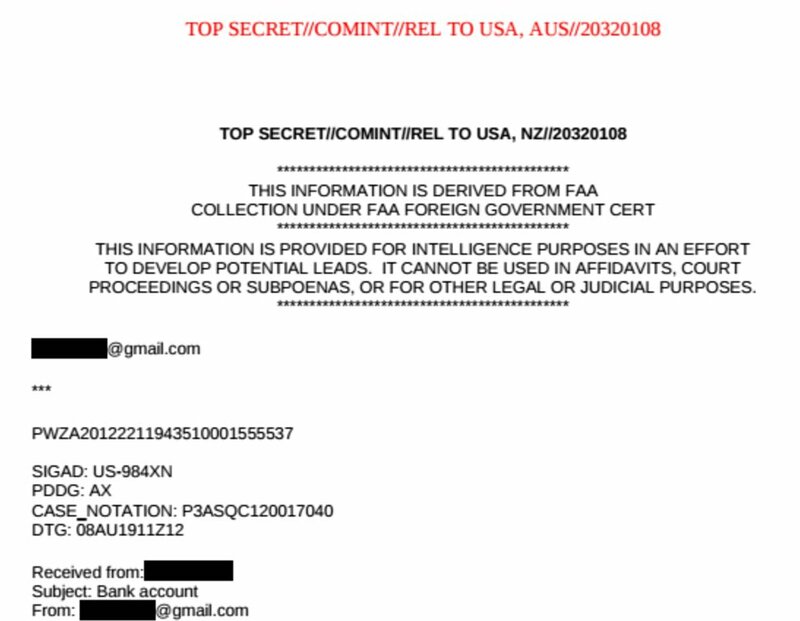 Working with the NSA, the NZ police convinced Australian authorities to raid Fullman in Australia, seizing his computers and passport. Then the NZ government cancelled his passport. Chris Tremain, then-Minister of Internal Affairs for New Zealand, stated that "I have good reason to believe that … you are involved in planning violent action intended to force a change of Government in a foreign state; and you intend to engage in, or facilitate, an act of terrorism overseas" because of secret communications provided by NZ's Security Intelligence Service (provided by the NSA through Prism). Included in the NSA dossier on Fullman was the amount of money he spent at his local coffee-shop, a photo of his car along with its precise location, emails about a birthday party, and information about human rights abuses in Fiji. There was no evidence of any terror plot. Once Fullman initiated court action against the NZ government, the minister reversed himself, writing that there were "no longer national security concerns" about him and his passport would be reissued "without requiring an application for a replacement, or payment of a fee." Years later, Fullman is still harassed when he flies, and has trouble looking for work because his name is so publicly associated with terrorism.